Eating crab always brings me back to being a kid and visiting my uncle, cousin and late aunt, Debbie, on Vancouver island. We would play in the garden all day, mostly collecting giant slugs and putting them into a big bucket (which I found out later in life was a giant slug massacre). Apart from the trauma of finding out what happened to my collection of ‘cute’ slugs, I have such fond memories of those times. We would pick up fresh live crab, boil them up and have a huge feast with piles of crab and bubbling hot butter for dipping. And our hands would be so messy – it was the best. My parents live out there now and of course, the tradition of having one crab feast when we visit is a must! In Calgary, we can’t usually get good crab, and fresh crab claw is a bit pricey. For crab cakes, good canned crab meat usually does the trick; if I’m buying fresh crab at Calgary prices, I’m eating it on its own! 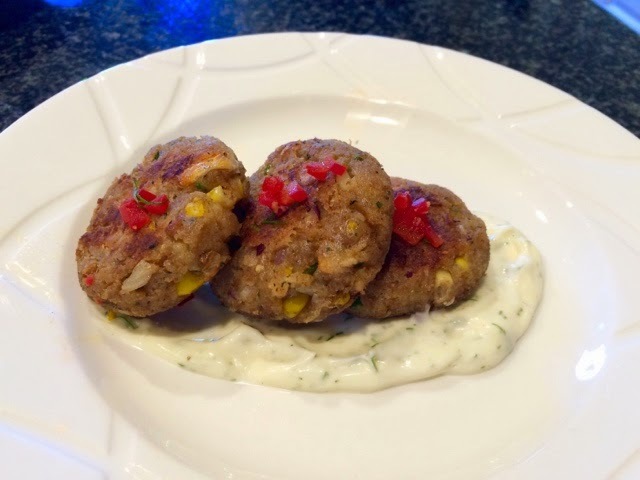 I made crab cakes for the first time a couple years ago at a corporate team outing at Sunterra Market, they do a really fun cooking class for corporate groups. 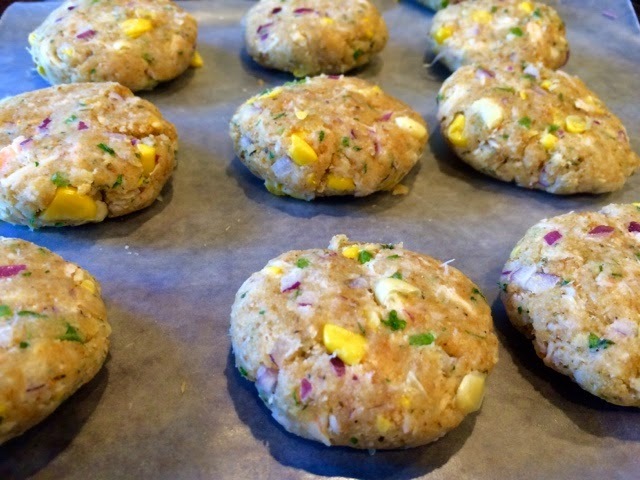 I forgot to grab the recipe but, though I couldn’t event tell you the names of everyone there, my food memory is pretty good and we made crab cakes quite similar to these. These are a great way to get a lot from a little, one can of crab meat makes you a dozen decent sized cakes without breaking the bank, perfect as a party appetizer. 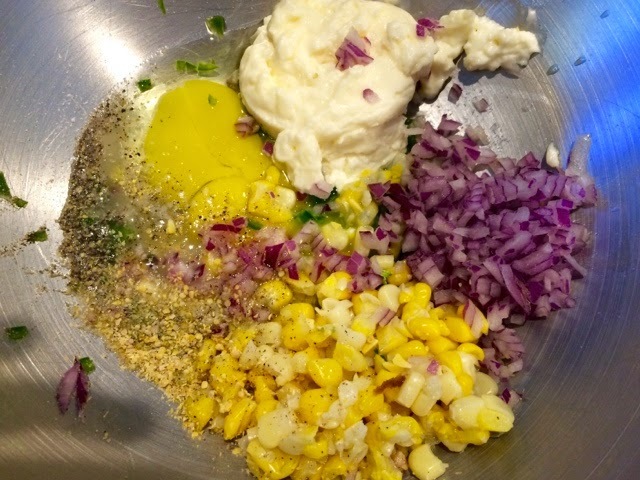 2) Combine all the remaining ingredients, except the breadcrumbs in a medium bowl. Mix well. 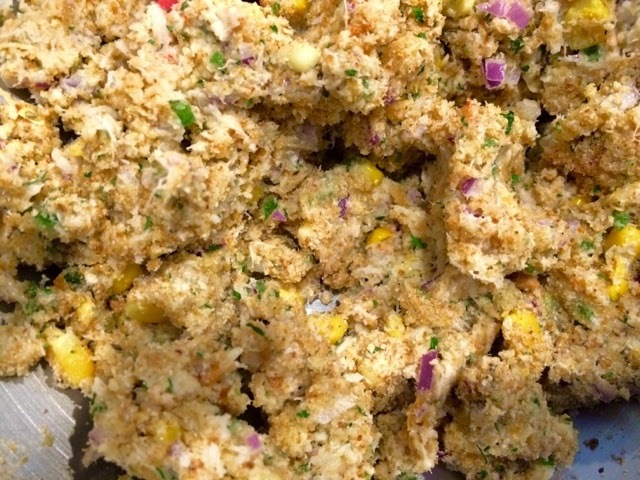 3) Add the crab to the mixture and lightly mix to distribute evenly. 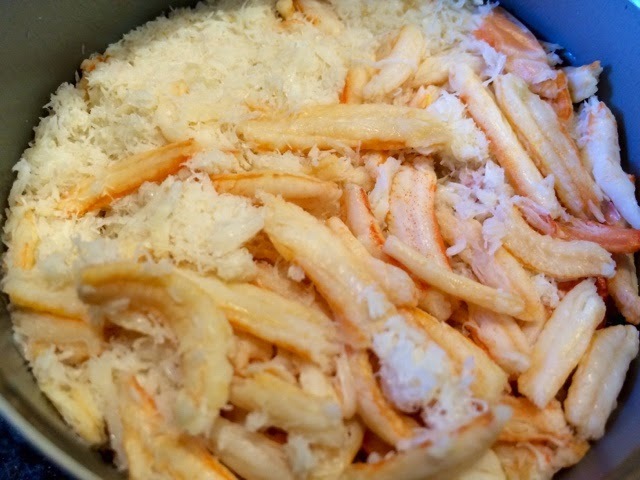 Then add the breadcrumbs 1/4 cup at a time, stirring after each addition until mixture holds together nicely, but isn’t too dry. 4) Using a cookie or ice cream scoop, make evenly sized clumps, then form these into balls by rolling between your hands. Lightly squish down to make fat discs. 5) Heat Olive oil in a saucepan at a medium low setting, add the crab cakes and cook each side for approximately 5 minutes until the sides are golden and they are warmed though.